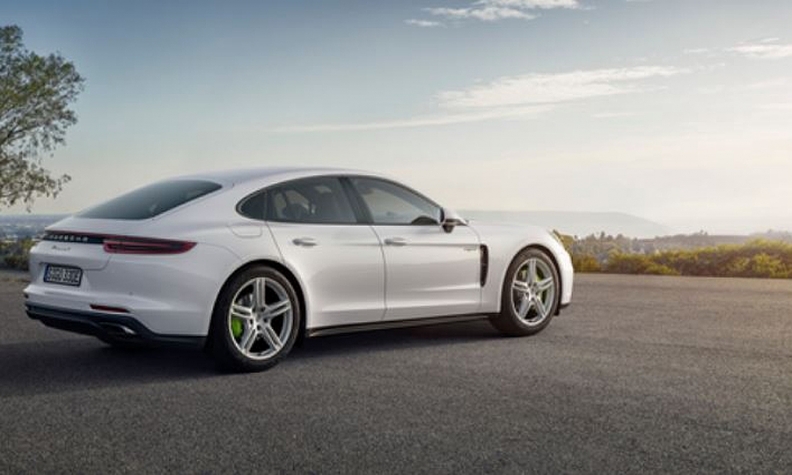 Porsche says demand for the plug-in hybrid Panamera is much higher than expected. Porsche, its name synonymous with sports cars, is gaining traction in the shift to electrified autos. The Volkswagen Group unit said 60 percent of buyers of its revamped Panamera four-door sedan opted for the partly battery-powered version from its sales start in June through October. The brand is now rolling out the vehicle in China and the U.S., its largest markets. The demand shows electrified vehicle sales are starting to gain traction as carmakers spend billions to meet tightening emissions regulation. “Customer demand is much higher than the 10 or 15 percent we first expected,” Gernot Doellner, head of the Panamera model line, told reporters Thursday at a press briefing near Stuttgart. Tax benefits in some European countries helped boost the hybrid’s share to more than 90 percent in Belgium and 70 percent in France. In Germany, the region’s largest car market, about a quarter percent of Panamera models are partly battery-powered. Global automakers are spending record amounts on new electric models to comply with stricter emission limits worldwide. Demand for the vehicles, outside of jurisdictions with significant incentives, has so far remained tepid as consumer shy away from limited driving ranges and high-cost product choices. That’s slowly changing as technology improves. Porsche’s success with its plug-in hybrid Panamera, which can go for about 52 km (32 miles) in battery-only mode, comes as Tesla is struggling to ramp up production of its $35,000 Model 3. The California-based electric-car pioneer, the early success of its Model S a thorn in the side of incumbent manufacturers, is burning through more than $1 billion a quarter. Porsche, unveiling its all-electric Mission E in 2019, competes in the same segment as Tesla’s luxury Model S and Model X.
Porsche, the most profitable brand for Volkswagen with a return on sales of 18 percent through September, will invest more than 3 billion euros ($3.5 billion) in plug-in hybrids and purely electric vehicles over the next five years. The plan is part of parent Volkswagen’s 20 billion-euro push to build electric variants of all 300 models in the 12-brand group’s lineup.